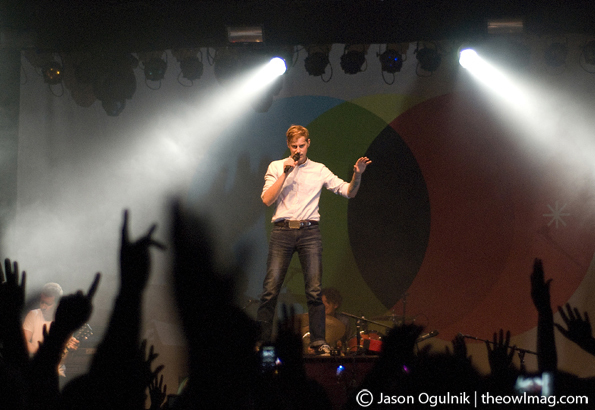 Andrew McMahon, lead singer/pianist/frontman for Jack’s Mannequin, conducts a much different show than last I saw seven years ago. In 2004 the music scene in Sacramento was alternative/emo, heavy on the angsty screaming lyrics and black clothing/eyeliner/wristbands for the boys and girls who skulked around Hot Topic. Something Corporate, McMahon’s high school band, had gained a cult-like internet following and fit in with this scene of hyperbolic emotional outbursts perfectly. 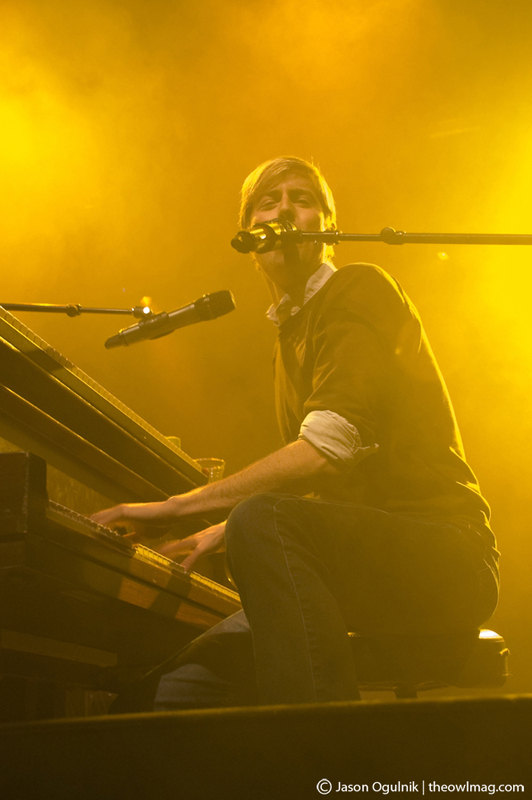 Immediately following Something Corporate’s rising fame, McMahon decided to go solo with Jack’s Mannequin and recorded Everything In Transit, a record he admits to being superior than to those that followed. 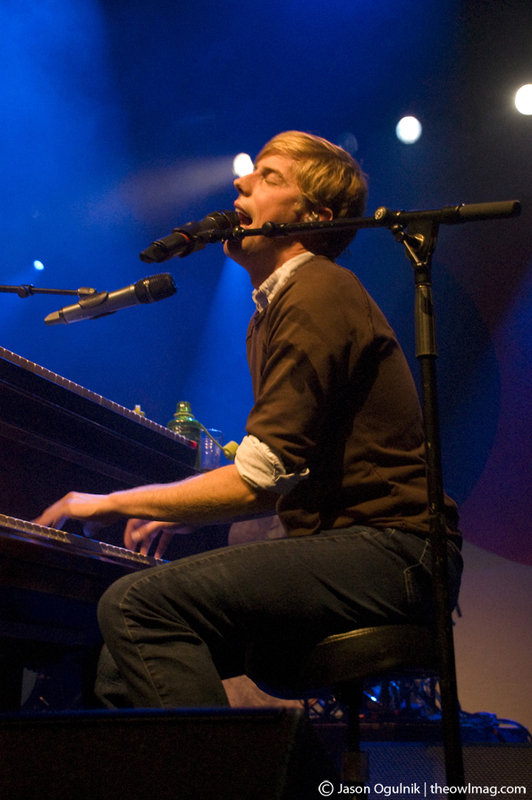 Touring in support of their recently released People and Things, Jack’s Mannequin is playing a few shows in California before heading down under to Australia. On Monday night, they played to a packed crowd of devoted, stomping, wild fans, but the clientele had changed. A lot. Instead of Hawthorne Heights sweatshirts we saw sorority girls with skimpy tops and college boys in collared shirts. 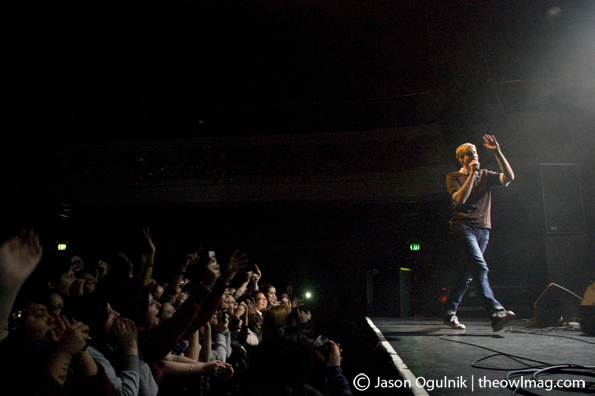 The crowd freaking loved him though, and his once melodic ballads geared towards the lonely-hearted are now raucous pop anthems that hit harder and faster live than from the records. McMahon and his band played songs from each album release and he stirred the crowd up with banter between the bassist about a pie in the face (obligatory since it was his birthday) and by jumping straight onto the top of his piano, brandishing his height and adoring the positive attention. Photos by Jason Ogulnik. 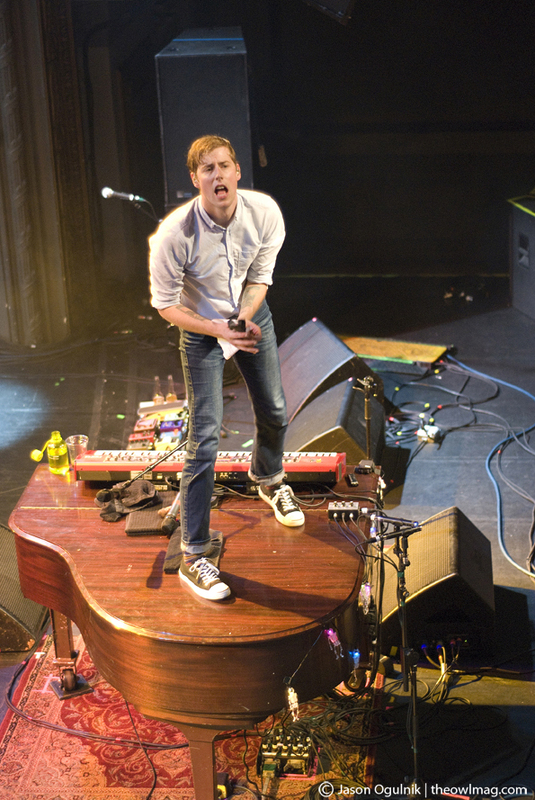 More Jack’s Mannequin.